Losing your passport or having it stolen in is a frustrating affair however there is a simple form for declaring your Passport as Lost or Stolen which begins the process for securing a replacement passport. In order to issue a replacement passport Her Majesty’s Passport Office (HMPO) will need either the old passport or their Lost & Stolen Form (reference LSO1 form) otherwise you will not be able to secure a replacement. You can then secure a replacement passport via the Standard Application which will take (up to 6 weeks for you to receive your passport) or the Fast Track Service which takes 7 days. If you are currently overseas elsewhere and need to return immediately to the UK or travel elsewhere then you will need an to secure an Emergency Travel Document. You cannot use this as a permanent passport through, this will need to be surrendered when you enter the UK. 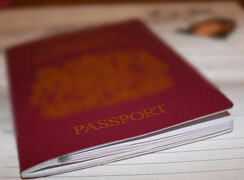 We can help ensure that you complete the LS01 form correctly and assist you secure a replacement Passport within 4hrs. If you would prefer to register the loss without our assistance then you can secure the LS01 form for free from major Post Offices and any of the 7 Passport Offices in the England, Wales, Scotland & Northern Ireland. If you have lost your British passport either in the UK or abroad you must first report this loss to the Police in the UK or the local authorities in the country that you are in. This is to ensure that the person who finds it does not attempt to start using your identity. Once it has been reported lost the passport will be immediately cancelled and rendered useless. Please note though that once its cancelled it cannot be re-activated it will be rendered useless. We can guide you through the loss process and help you secure a new UK passport online here > or you can call us on 0203 600 1984 (or if outside the UK +44) for support. We can also assist you secure an Urgent Passport Office appointment with our Queue Jumping Service or provide an Appointment Exemption whereby no attendance to one of the seven Passport Offices is required and the whole process is done via the post. If you have had your passport stolen in the UK you must report it to the Police as soon as you can and secure a Crime Reference Number, this helps prevent the person who stole your passport from using it as their identity or for fraudulent purposes. If you are outside of the UK you should report the theft to your local authorities.